A Trio of Marvelous March Programs! 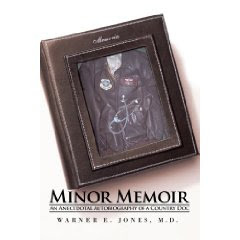 Dr Jones, a retired physician from North Springfield will talk about his recent book, "Minor Memoir: an Anecdotal Autobiography of a Country Doc." Dr. Jones practiced internal medicine for 46 years after medical school. He simultaneously achieved his goals of being a pilot and an Air Force officer, reaching the rank of Colonel and the positions of Chief Flight Surgeon and Commander of his military unit. Animal CSI with Laurel Neme Ph.D.
Chris Rimmer from The Vermont Center for Ecostudies will lead this informative program about the Bicknell's Thrush, a land bird species of highest conservation concern in North America. The species is at risk from a variety of threats to its breeding habitats, including recreational development, telecommunication construction, wind-power development, acidic precipitation, mercury deposition and climatic warming. Don't forget to check out our new facebook page! Just click on the facebook link on this page!